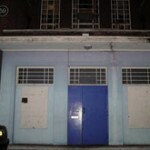 The Swift Centre, built in the 1920s, is a complex including a large sports hall and function rooms, built on the premises of The Memorial Baptist Church Plaistow, which can be found on the Barking Road in east London. 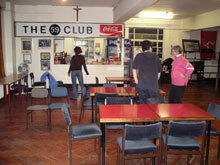 Many groups and organisations have found it to be a suitable venue for their weekly gatherings. 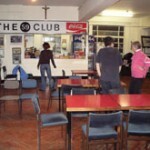 It has played host, not only to our youth clubs, but also to the Scouts, Girl Guides, The 409 Club, The 59 Club, several football and badminton clubs, The Open Door Theatre, a dog owners club and many groups associated with the church. The building itself is a bit dated and tired but the regular use and vibrant atmosphere make it an enjoyable place to spend time. 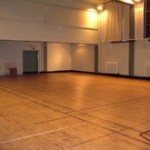 The fact that there is virtually nothing breakable in the main hall area makes it an excellent place to play football and other sports. Its small size encourages more use of skill and speed, and years of playing there have played a huge part in honing the whole team’s immense footballing abilities. The Swift is our true home ground. 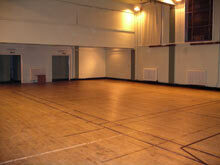 A short trip up some stairs will take you to the recreational / social area of the building. 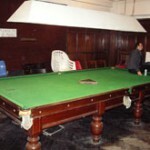 A small kitchen in the corner provides an ideal spot for serving up tuck for the kids and tea for the adults while a pre-historic table tennis table provides much of the entertainment for the more competitive souls. There is also a TV / chill-out area, soon to be redecorated by the kids, with comfy (if a little old) chairs and a snooker and billiards room. So, you’ll probably find it hard to be bored too long while you’re there.